Carl Sachs identifies himself a Kantian naturalist (2). What he means by this is that he accepts as plausible the transcendental standpoint and that its task is one of cognitive semantics, identifying the minimally necessary conditions for an utterance to be expressive of a thought. He identifies as a naturalist in the sense that he aims to provide an account of intentionality that is fully naturalizable. 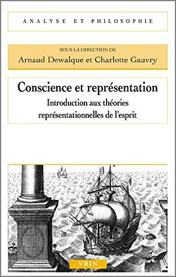 He argues that transcendental naturalism is the view that “transcendentally-specified roles must have empirically-specifiable role-players” (9). 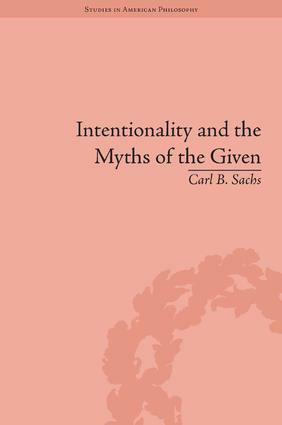 Sachs frames his book not only around the Myths of the Given, but around the question of how to account for original intentionality as opposed to derived intentionality. In laying out his solution, he favors a two-fold sense of original intentionality, what he calls bifurcated intentionality. 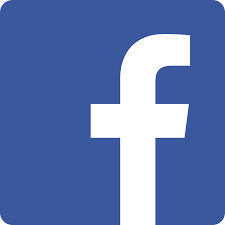 He argues “both discursive and somatic intentionality must be considered as equally original…because discursive intentionality and somatic intentionality are individually necessary and jointly sufficient for judgments with empirical content” (8). This is endorsed in order, Sachs argues, to answer the naturalists challenge. It is a cornerstone of Sachs’s attempt to realize John Haugeland’s claim that there is a position between neo-behaviorists (Quine, Dennett) and neo-pragmatists (Sellars, Brandom). In contrast with Haugeland, Sachs approaches his challenge by relying heavily on the work of Merleau-Ponty. 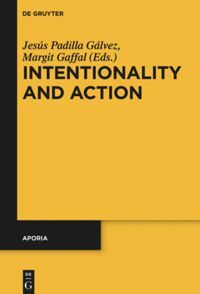 This, he believes, enables him an opportunity to construe one form of original intentionality as both non-social and non-linguistic, namely somatic intentionality: the intentionality of the body in its lived engagements and comportments. Sachs makes a reasonable case that Wilfrid Sellars’s Myth of the Given has traditionally been too narrowly interpreted in terms of its scope. He argues that the problem is not just with an empirical given, but rather whatever sort of thing one treats a given. What’s more, Sachs argues that to understand Sellars’s criticisms of C.I. Lewis, one needs to appreciate that the given in question is not an epistemic given, but a cognitive-semantic given. To clarify, “the epistemic given has both epistemic efficacy (it plays a justificatory role in our inferences) and epistemic independence (it does not depend on any other justified assertions). The semantic given is both efficacious and independent with regard to cognitive semantics” (22). The Myth of the semantic Given is “the thesis that cognitive significance, objective purport, requires something with a semantic status, or a kind of meaning, independent of and yet bearing on the meaning of objectively valid judgments” (29). Sachs’ view of these two Givens is that his account of bifurcated intentionality opens room for non-conceptual content that does not violate the Myth of the semantic Given. 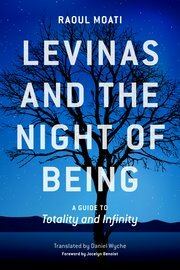 Sachs believes a benefit of his account is that it preserves “transcendental friction,” which is “that it must be possible, by reflecting on our most basic conceptual and perceptual capacities and incapacities, to guarantee that we are in cognitive contact with the world we discover and do not create” (13). Chapter one provides a lot of the groundwork for the book. This includes defining terms like non-conceptual content and transcendental friction. By the former, Sachs means “personal-level representational cognitive-semantic content that does not conform to the Generality Constraint [that a subject cannot conceive of a is F if she cannot also entertain the thought that a is G and that b is F]” (12). The latter is the requirement that “it must be possible, by reflecting on our most basic conceptual and perceptual capacities and incapacities, to guarantee that we are in cognitive contact with a world we discover and do not create” (13). The first two chapters are basically dedicated to explicating and defending a view of C.I. Lewis’s thought. It is done to establish a basis for the thesis of bifurcation. One might contend that Sachs is establishing a neo-Lewisian view. Indeed, the entire setup seems to leave one the impression that Lewis was very close to the truth, but lacked a sufficient understanding of somatic intentionality to make his semantic foundationalism work. In particular, Sachs argues at the close of chapter two, that one of Lewis’s critical errors was to adopt an Augustinian conception of language. Chapter three is broken into three subsections. The first section outlines the dispute between Roy Wood Sellars and C.I. Lewis, specifically between the former’s physical realism and the latter’s conceptualistic pragmatism. The middle section establishes how this contextual backdrop informs Wilfred Sellars’s formulation of the Myth of the Given and his criticisms of Lewis. The final section establishes the place of non-conceptual content in lieu of the arguments presented by the younger Sellars. This chapter should be of immense historical value to the history of analytic philosophy. In terms of phenomenology, I believe that there is substantial potential for further engagement. The first section in particular has much in common with disputes between Husserl and Heidegger. This is in no way to assert that the disagreements or their terms are the same, only that there are sufficient parallels to warrant further comparison. 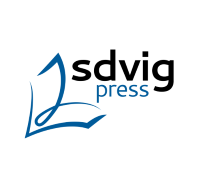 The middle section might provoke an interest in drawing Mikel Dufrenne’s work on the a priori into dialogue with the analytic literature on the synthetic-analytic distinction in fruitful ways. As for the final section of the chapter, its concern for transcendental structures bears clear interest to the phenomenologist, even if the latter is not generally concerned for the causal role of said structures. That said, the way Sachs frames the chapter could be helpful for phenomenologists in thinking about how their work relates to work in other fields. That said, there is one clear complaint that anyone with a phenomenological background would raise. At the end of the chapter, Sachs quotes Sellars’s remarking: It is by the introduction of visual sensations that we transcend phenomenology or conceptual analysis. They are not yielded by phenomenological reduction but postulated by a proto-(scientific)-theory” (Sellars in Sachs, 69). Puzzlingingly, no relation of this passage to phenomenology is ever provided. Given the care in which Sachs works through the analytic literature, this is very surprising. This idea only returns directly in the Appendix. In either case, no mention is made of Sellars’s relationship to Marvin Farber or that Sellars is clearly claiming to have bettered both Husserlian phenomenology (Husserl, Farber) and conceptual analysis (Ryle, Lewis) on the question of non-conceptual content. It is disappointing that this comes at the end of the chapter without discussion or more critical attention. Chapter four outlines the Brandom-McDowell dispute, and their shared rejection of non-conceptual content. It ends with a discussion of Dreyfus’s and McDowell’s exchanges. All of this seems to serve the purpose of establishing that non-conceptual content is rightly dismissed where one begins from discursive intentionality as paradigmatic. However, it is not clear that discursive intentionality is the (sole) original form of intentionality. Hence Sachs’s advocacy in the fifth chapter for Merleau-Ponty’s emphasis on somatic intentionality as a co-original form of intentionality. This all leaves open a position that might challenge Sachs. One might argue that somatic intentionality is original and that discursive or linguistic intentionality is secondary. This challenge does get a response at the end of chapter six, when Sachs offers his reasons for rejecting this sort of position in the work of Dreyfus and Todes. I’m not convinced that this possibility is so easily rejected, as it seems to hang on the requirement that defining intentionality in terms of language and not vice versa is true. While the latter is at odds with the Sellarsian approach, one might want more careful reasons for rejecting that alternative. Alternatively, why not think that something like somatic intentionality – or a system of affectations that might grow more and more sophisticated – is more basic? This certainly would make more sense of the evolutionary continuity one finds across species, and would help make sense of human development as well. Chapter five brings Merleau-Ponty into the discussion. Merleau-Ponty’s criticism of intellectualism and empiricism are used by Sachs to ground the necessity that somatic or motor intentionality is distinctive from discursive intentionality. For Sachs, discursive intentionality consists of both directedness and aboutness, especially since he couches it in terms of Sellars’s community of language users, i.e. the deontic scorekeepers. Somatic intentionality, on the other hand, lacks aboutness but consists of directedness. It is also non-apperceptive. Sachs presses the distinction between the “I think” and “I can” in accentuating this difference. Discursive intentionality is associated with intellectual activity and judgments; somatic intentionality with the habitual deployment or execution of embodied postures or gestures. Habits are understood as quasi- or proto-normative. With regard to somatic intentionality, Sachs argues that the Myth of the Given – in either epistemic or semantic form – is avoided only insofar as one appreciates a distinction between pre-personal and sub-personal senses of non-conceptual content. If one locates non-conceptual content at a sub-personal level, then, he argues it cannot take on an intentional structure. That point is not consistent with Merleau-Ponty’s broad application of intentionality to the natural world (Merleau-Ponty 2003; see also Hamrick 2011). However, Sachs believes that conceiving of non-conceptual content in pre-personal terms avoid this problem. Sachs makes a surprising, if subtle, error in his discussion of Merleau-Ponty (107-108). He correctly indicates that motor intentionality is directedness without aboutness. A dog might be directed towards the object of play, even if it might not experience play as something about which it participates. However, he misapprehends what is meant by Merleau-Ponty identifying it as non-apperceptive. Apperceptive contents in Husserl and Merleau-Ponty – unfortunately ambiguously used by both – refer to the adumbrated profiles associated with the object of experience, or to the pre-reflective mineness of experience. That is apperception refers to the unity of the experience of this or that both in relation to the “object” and to the “subject.” Motor intentions aren’t necessarily constituted through profiles. Nor are they the sorts of things that one generally recognizes their self to be enacting or embodying in an explicit, voluntaristic manner. The later part Sachs gets right, though his interpretation is perhaps a little intellectualist, thinking this is about a reflective “I think.” It’s more a comment for Merleau-Ponty about the absence of the pre-reflective sense of an “I” in the experience of these intentional states. For example, one affects a posture, but one is neither aware of one’s affecting one’s posture nor is one’s affectation of a posture something that’s adumbrated. There are no posture-profiles intended in absence of the intentional affectation of the posture itself. By denying that there are profiles, absences co-constituting internal horizons of the intention, one does not deny that motor horizons have temporal dimensions that involve action-possibilities. (c) perceptual episodes have world-tracking representational content (naturalistically considered) (138). Sachs insists upon preserving (a) on the basis that rejecting (a) “leads one right back to all the problems of ‘intentional inexistence,’ realism about universals, and so on” (ibid). I’m not sure why that would have to follow, though Sachs seems to treat language games as abiding by their own internal rule-systems without necessary reference to the world. The deontic scorekeepers track whether one’s usage is correct, not whether one’s claims track true. Sachs understands our embodied coping skills in terms of “sheer receptivity” (ibid). It should be warned that Sachs does not equate receptivity with passivity (139). Rather it is a spontaneous non-conceptual, non-inferential state of affairs. Phenomenology’s role in this line of reasoning is to dislodge the assumption that “rational conceptuality is the paradigm of intentional activity” (139). Rejecting the view attributed to Dreyfus and Todes that somatic intentionality grounds discursive intentionality, Sachs does accept that the former constrains the latter. By this he understands that “the normativity of bodily habits constrains (but does not determine) the normativity of social norms” (139). More formally, somatic intentionality is necessary, but not sufficient for discursive intentionality. As noted above, one is wont perhaps for a more complete set of reasons why one should reject the thesis of somatic-intentionality’s grounding discursive intentionality. Sachs is skeptical in no small measure because, he argues, were somatic intentionality necessary and sufficient for discursive intentionality, one would succumb to the Myth of the Given again. I’m not sure why that would have to be the case, even if I accept the reasons he offers. In other words, I don’t see why one can’t agree that the relationship is as Sachs states – that somatic intentionality is necessary but not sufficient for discursive intentionality – and not still prioritize somatic intentionality as more basic. Granted, that might require going with Merleau-Ponty in denying (a) and affirming a relational account of language. The book closes with an Appendix, addressing the question as to whether or not phenomenology commits itself to the Myth of the Given. In brief, Sachs’s argument is that Merleau-Ponty successfully avoids the Myth in either form, but that the early Husserl commits to the Myth. Specifically, Husserl commits to the Myth through the correlation of noesis and noema. Says Sachs, “Correlationism is Mythic dues to its foundational role within the total system as the presuppositionless condition of possibility of cognitive experience, just because our awareness of the correlation is achieved when all presuppositions are suspended, i.e. when the phenomenological reduction is complete” (161). Sachs believes this fits Sellars’s metaphor of the “seal on melted wax.” I’m not sure how this is supposed to be, as it strikes me as a misunderstanding of Husserlian phenomenology. That we discover noetic-noematic correlation while maintaining the phenomenological reduction is not a problem in this manner. Sachs forgets that the reduction effects the suspension of the natural attitude. That is, our everyday comportments in the world are focused on the objects themselves as given. The reduction enables us to step back from that naïve standpoint in order to identify and explicate the subjective roles played in consciousness in experience. A shift of attentional focus is a necessary condition for discovery of the workings of consciousness. Nor does presuppositionless mean suspension of contents, only suspensions of interests and judgments. I suspend my affirmations and negations, specifically my existential commitments. Husserl never asserts that “the categorial structure of the world imposes itself on the mind as a seal on melted wax” (Sellars in Sachs, 161). What Husserl does argue is that the categorial structure of consciousness arises in relation to the experienced contents of lived experience. What’s discovered is that our epistemic and semantic starting points involve an exchange or relation between the subject and the world – which is precisely the thing Sachs praises Merleau-Ponty for discovering. I can appreciate that if one interprets Husserl’s reduction as violating the demand for transcendental friction, that one might argue that he is committed to the Myth. However, Husserl is careful to articulate how the content of consciousness involves the relationship between the subject and her world. That relationship grounds his consistent concern for evidentiary fulfillment. There could be no concern for fulfillment unless it were possible that both that the subject be mistaken – either noetically or noematically – and that evidences be possible. Husserl’s neither granting justificatory nor semantic roles to the given. One might think that noema can stand in isolation and that this is precisely what the reduction realizes or reveals. However, that cannot be the case, because Husserl is clear that noema emerge from out of a horizonal network, i.e. meanings are the results of interactive relations between categorial elements (see Logical Investigation VI) and the subject’s comportment within and towards the world. Unfortunately, it may be the case the Sachs is inheriting mistaken attributions about Husserl’s philosophy from Sellars, who received those mistakes from Marvin Farber (1943). A quibble with Sachs’s book might be raised about the book’s approach on the whole is how quickly Sachs is to brush over applying categories associated with historical figures. For example, much of the book involves consistent usage of Kantian v. Hegelian labels to distinguish different positions or thinkers in their disputes. Given that these labels aren’t always defined, and that they represent potentially niche interpretations of those labels, one wonders if they might not obscure things at times. For example, in one of the early chapters, Sachs associates Kantianism with Lewis White Beck’s translation. While that was an influential translation of Kant’s Critique, it is now generally regarded as excessively Humean in its interpretive approach. More recent Kant scholarship is far less enamored of the Beck paradigm that Kant was directly responding to Hume. Rather, Kant is far more grounded in the development of the Leibniz-Wolff tradition, and in responding to Baumgarten’s work. This isn’t to say that Kant is not influenced by empiricism as well, just to note that Hume’s role in spurring Kant’s philosophical development is much less important than Beck and cohort asserted. What’s more, the term Hegelian has different meanings in different circles as well. Within British Idealism it meant one thing, and variants from that school of thought inform the American Hegelian lines. 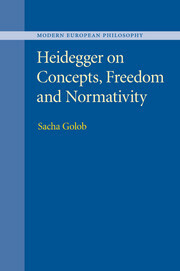 But this is not obviously the same Hegel that one finds in Marx or the German tradition. None of this is Sachs’s doing, historical chains of influence are intrinsically complex. But the plurality of these interpretive lineages do raise questions about the efficacy of using the labels so freely. A more substantive question I have is whether or not Edmund Husserl’s account of the genetic origins of judgment in Experience and Judgment poses a challenge to Sachs’s approach. Not only does Husserl offering a rather robust account of how judgments – discursive intentionality – arise from out of non-discursive origins; but it is well known that Merleau-Ponty was familiar with most of Husserl’s later works – as Sachs acknowledges in The Appendix. As such, there is a possibility that Merleau-Ponty has an intrinsic objection to how Sachs is approaching bifurcated intentionality. This is in no way an argument here, only to raise the consideration – as such scholarship is beyond the scope of this review. On the whole Sachs’s Intentionality and the Myths of the Given is a worthwhile text. It provides careful and precise elucidations of Sellars’s Myth. It deepens the historical context and understanding of important debates in contemporary philosophy, especially analytic philosophy – for which Sachs’s contribution might be invaluable. And it joins a growing chorus of works that bring phenomenological philosophers into prominent dialogue with more widely read philosophers. The book’s aim to outline an approach to intentionality without succumbing to the Myths of the Given and to preserve transcendental friction both succeed. While the book is often very technical and dense in the usage of terminology that would be potentially prohibitive for a broader audience, I believe it merits recommendation for those working on issues relating to the nature of intentionality or the Myth(s) of the Given. Dufrenne, Mikel. 1966. The Notion of the A Priori. Edward S. Casey, trans. Evanston: Northwestern University Press. Farber, Marvin. 1943. The Foundation of Phenomenology. Albany: SUNY Press. Hamrick, William. 2011. 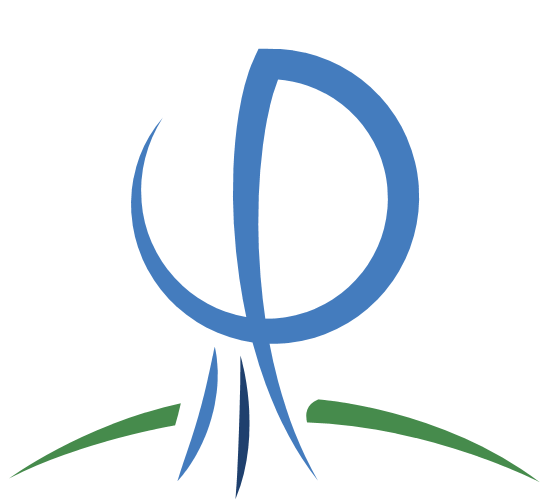 Nature and Logos: A Whiteheadian Key to Merleau-Ponty’s Fundamental Thought. Albany: SUNY Press. Husserl, Edmund. 1970. Logical Investigations. J.N. Findlay, trans. London: Routledge. Husserliana (Hua) XIX/1 and XIX/2: Logische Untersuchungen. Untersuchungen zur Phänomenologie und Theorie der Erkenntnis, Zwei Bänden, ed. Ursula Panzer. The Hague: Martinus Nijhoff, 1984. Merleau-Ponty, Maurice. 2003. Nature: Course Notes from the College de France. Robert Vallier, trans. Evanston: Northwestern University Press. Sachs, Carl. 2014. Intentionality and the Myths of the Given. New York: Routledge.